Soups on! It's cold outside and winter is not saying goodbye to us any time soon. So my soup pot is doing overtime on my stove top. 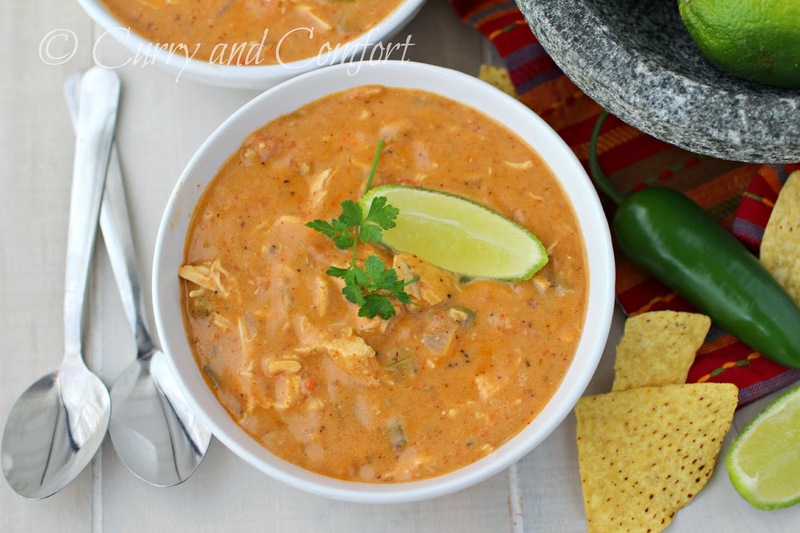 I decided this week would be soup week so if you are looking to warm your belly... you will be all set. 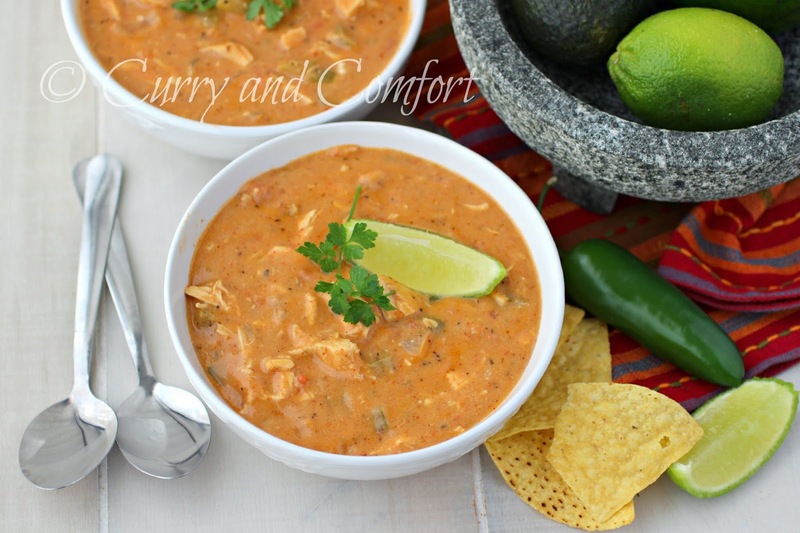 Today's recipe was inspired by a can of soup that I had when I was sick last month. I could not cook and my husband went to the store and bought a few cans of soup for me. 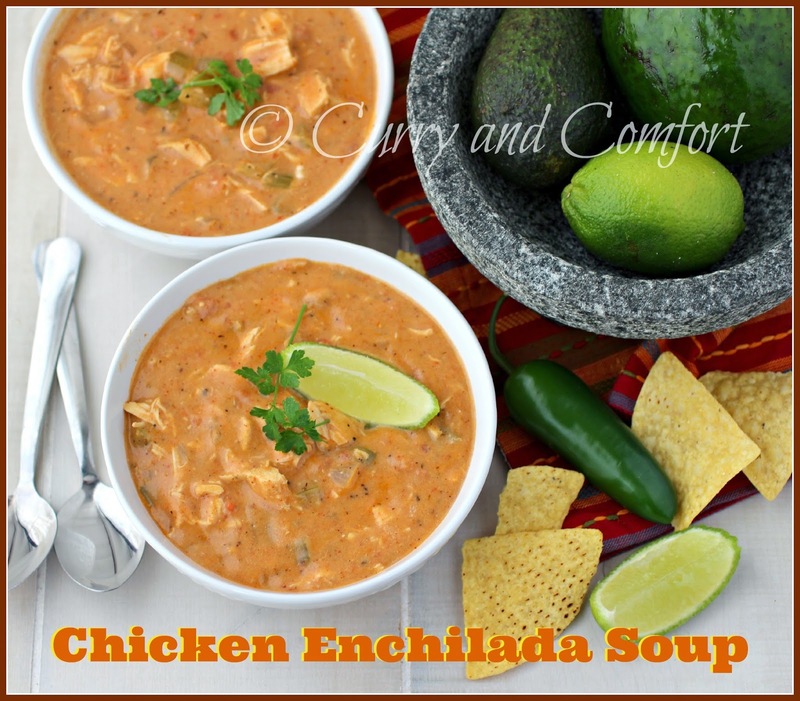 One of the soups was a Chicken Enchilada soup. I was curious about it and gave it a try. It was pretty good. So I did my best to recreate the flavors of the soup today. One of the ingredients you need is corn flour. 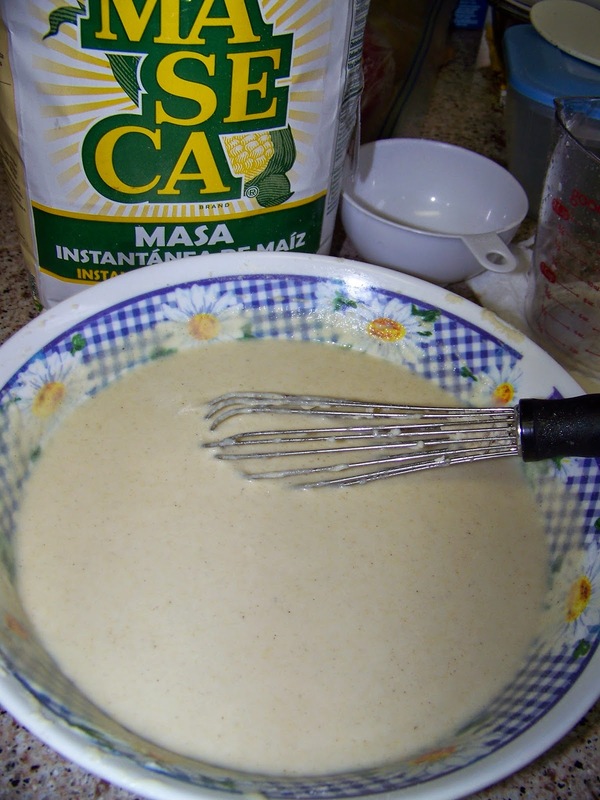 It's call Masa Harina in the store and is available in most American grocery stores in the international food aisle or where Mexican food is sold. This corn flour gives the soup some nice corn flavor as well as a thickness to the broth. I used some chicken that I had poached a few days ago and the stock that came from the poaching. The rest was chicken stock from a box and a few spices to make this soup pretty close to the soup that I had in the can. Well, actually my chicken was way better than that processed stuff you get in the can and my soup was much more hearty than the thin broth they had in their soup. So here's to the first soup of soup week. Come back tomorrow for another soup to warm your belly. Shred or dice poached or store bought rotisserie chicken and set aside. 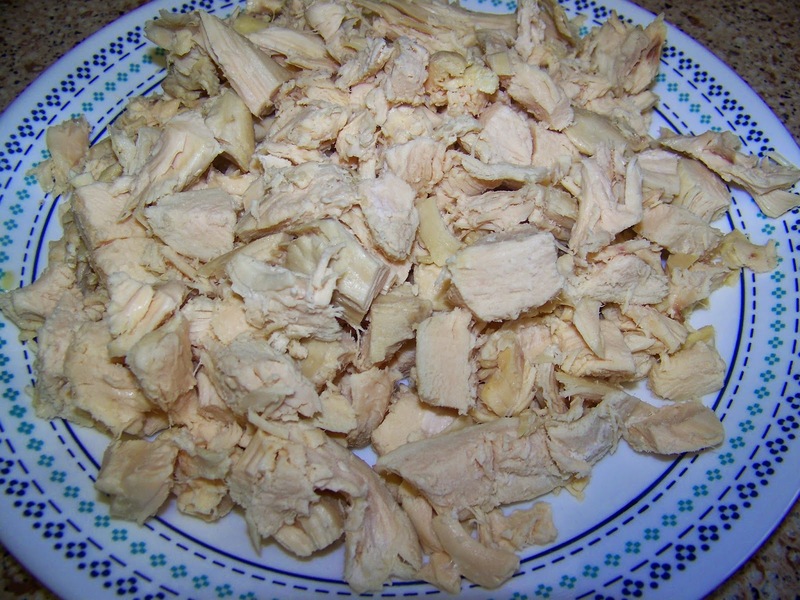 To poach chicken easily, place chicken (bone-in or boneless) in a pot with enough water to cover chicken by 1 inch. 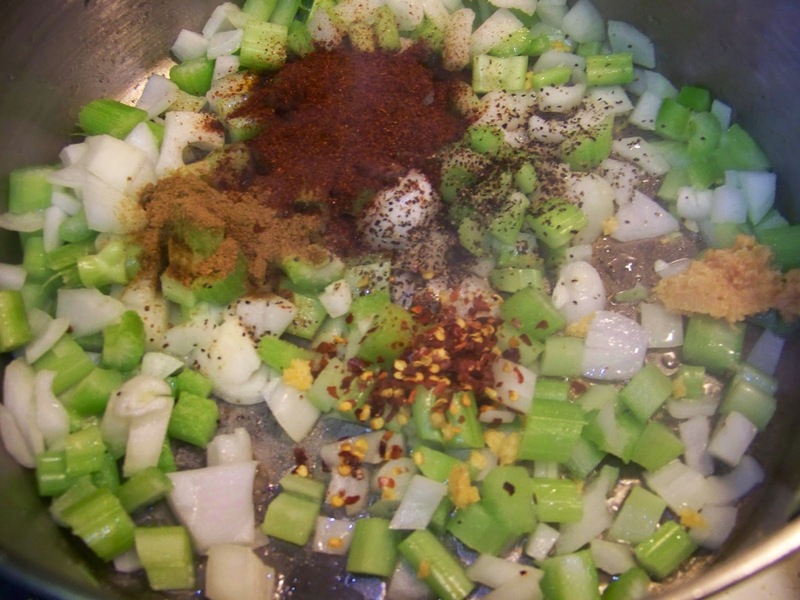 Add half an onion, a stalk of celery, a carrot, a little salt and black pepper. Bring water to a boil and reduce to a simmer. Cook until chicken if fully cooked. Remove chicken and dice or shred as needed. 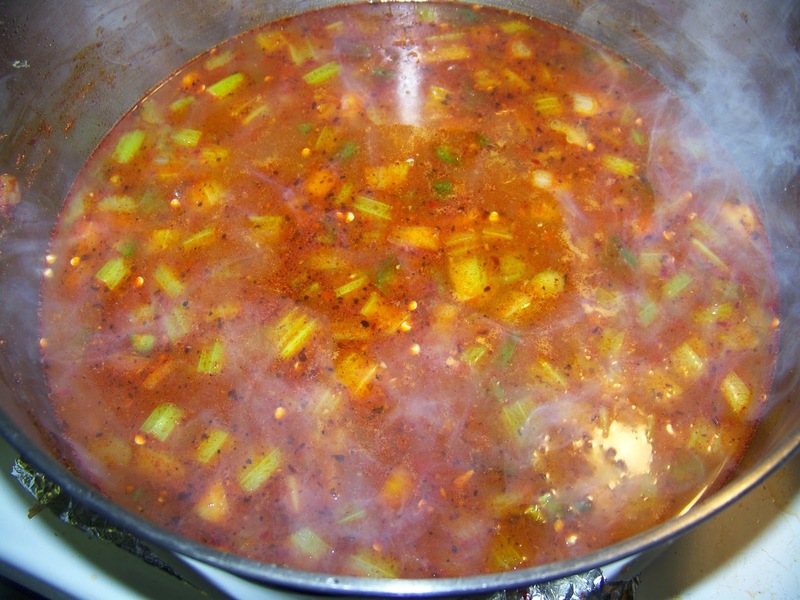 If you use bones, strain all other ingredients and use strained broth for soup. 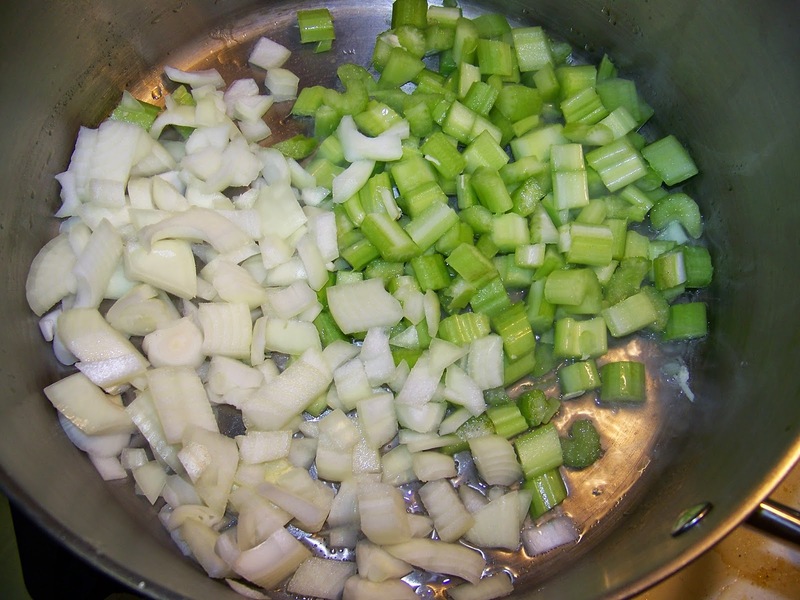 In a large soup pot, heat 1 Tbs canola oil, Then saute onion and celery with a little salt for seasoning for 2-3 minutes. Next add jalapeno, grated garlic with the chili powder, cumin powder, chili flakes, black pepper and oregano and saute for a minute. 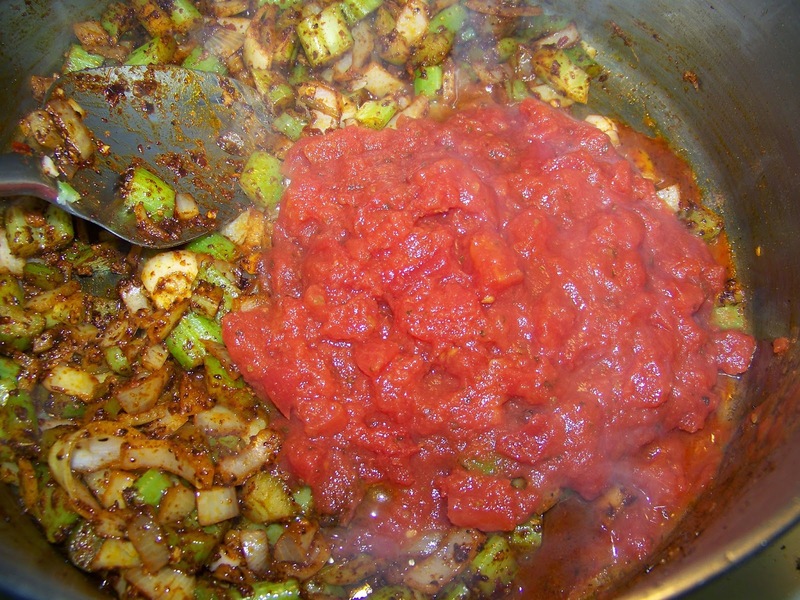 Then add the can of diced tomatoes and stir well. Pour alll but 2-3 cups of the chicken broth into pot and bring to a simmer. In a large bowl, whisk together the cup of masa harina with some of the remaining chicken stock until smooth and pourable. Once the soup has simmer for about 10 minutes, whisk the masa harina mixture into soup. A whisk is needed here everything mixes well. 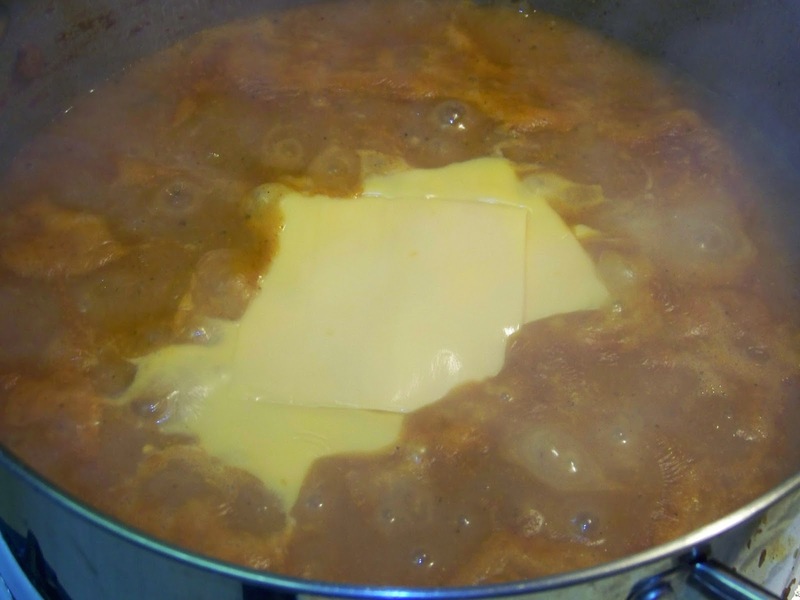 Melt the cheese into the soup next. 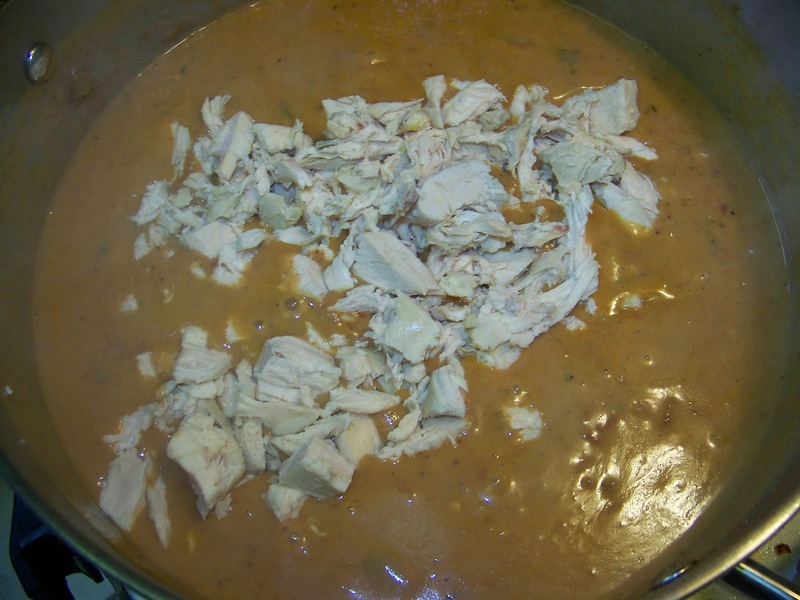 Then add the milk and shredded chicken into the soup. Taste for salt and seasoning. Adjusted as needed. 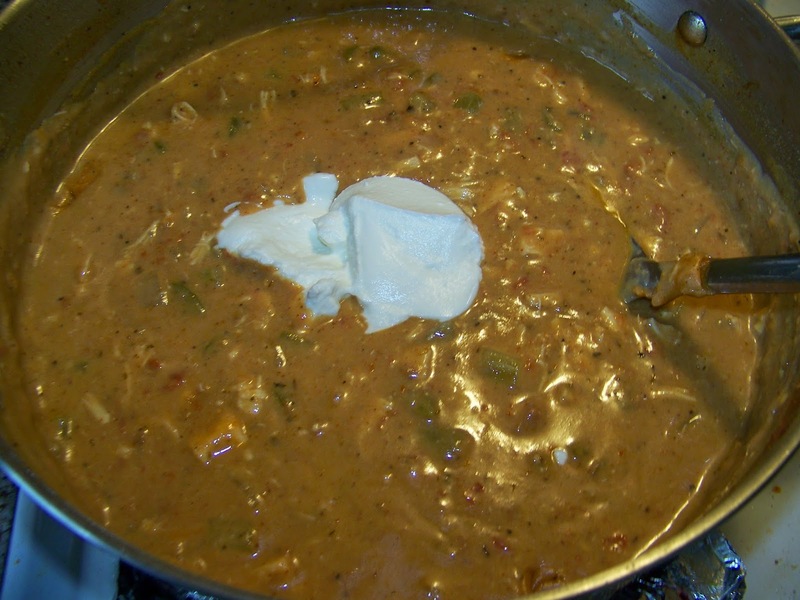 Once soup is finished, turn stove off and stir in the sour cream. Serve hot. Enjoy. Sweet Mother of Pearl this looks good! I'd eat this no matter what the temperature was outside. Gold star for you Ramona!